Awamu means ‘together’ in Luganda, the main language spoken in Uganda. We chose it as it reflects the name and spirit of both the women’s groups that we are working with. This is Regina with Jaliya when we first met in 2008. I went to Uganda for my work with ActionAid, I’d formed connections with people in projects before but this time I came away even more fuelled with a determination to help. I met the most amazing people – people whose lives had been torn apart by hiv but still share what little they have and give all their energy to help those around them. People like Regina with a determination to make things different for their family and their community. 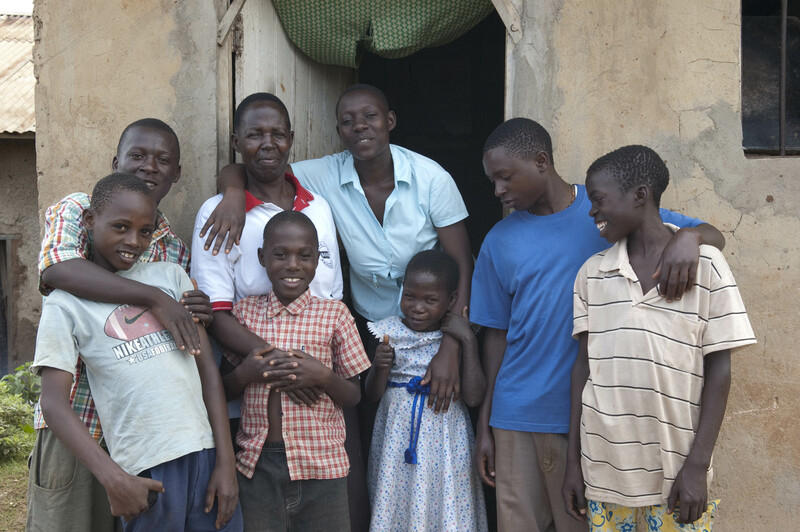 Regina and volunteers like her are the driving force behind transforming the lives of children like Jaliya in the slums of Bwaise and Makerere. From the very first time we met I was completely bowled over. 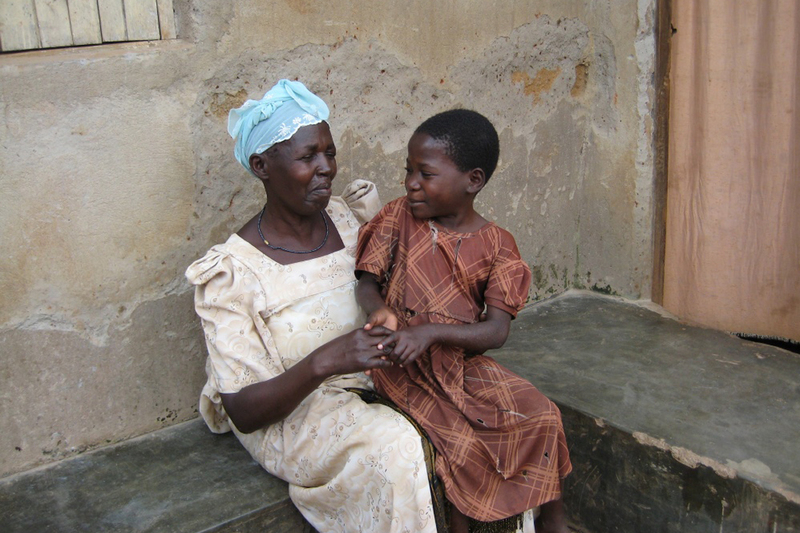 Regina is a widower and a grandmother, six of her own children have died of aids related illnesses. She is the sole provider for 12 children – nine grandchildren, one nieces and her adopted daughter Jaliya. They live in a room no bigger than 2×3 meters. Yet along with network of other women, who have all been similarly affected by hiv, she gives all her time and energy to help the most vulnerable is her community. They walk the streets of the slums seeking out children and adults in need of their support. They encourage adults to confront their fears, navigate the medical system and offer care and protection to those who are too weak to look after themselves or their families. Their support means the difference between life and death for the most vulnerable in their community. They make us want to be a better people and we want to be able to look them in the eye and say yes we have done everything we can to help. So we’ve set ourselves the challenge of finding as many ways to help volunteers like Regina to step up their work in the community. We want to enable them to reach out to even more orphans and children with hiv – just as they did with Jaliya. are already helping 66 children in Bwaise and Maklerere with small grants to support them through seven years of primary education. Many of the women have skills like sewing, knitting and weaving but they don’t have the money to buy start up materials and no way of marketing them in a profitable way. We fell in love with the bright colours and crazy patterns of angelwax fabrics and have invested a small amount on a limited run on things that we hope our friends will covet. In the long term we hope to set up a sustainable way for women to earn a living and raise money to take care of the children in their care. This project is very close to our hearts and we hope we can work together to produce product that you like. We always appreciate your support and feedback so please get in touch.